Markings: At lower right corner, collection mark of Alfred Beurdeley (L. 421). 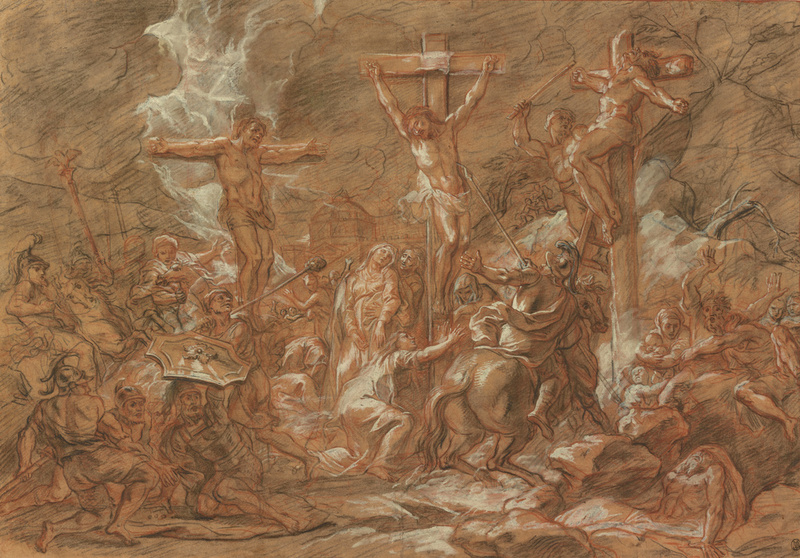 Choosing to represent the dramatic moment Christ died on the cross, Antoine Coypel used strong contours, thick, parallel hatching, and judicious applications of white heightening to give this drawing power. His fluid white accents create the lightning implied in the biblical passage, providing a supernatural spotlight on the crosses and Christ's stricken followers.